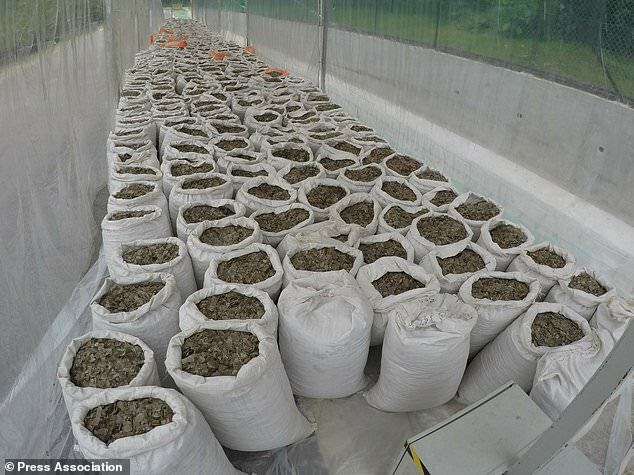 ‘It was estimated that on average 20 tons of scales were being smuggled each year,’ Crawford Allan, senior director at TRAFFIC, a wildlife trade monitoring network jointly set up by WWF and the International Union for Conservation of Nature, said in an email to Bloomberg. ‘The sheer size of these two latest seizures is unprecedented and will undoubtedly prove a major setback to the traffickers concerned,’ said Richard Thomas, of monitoring network Traffic. 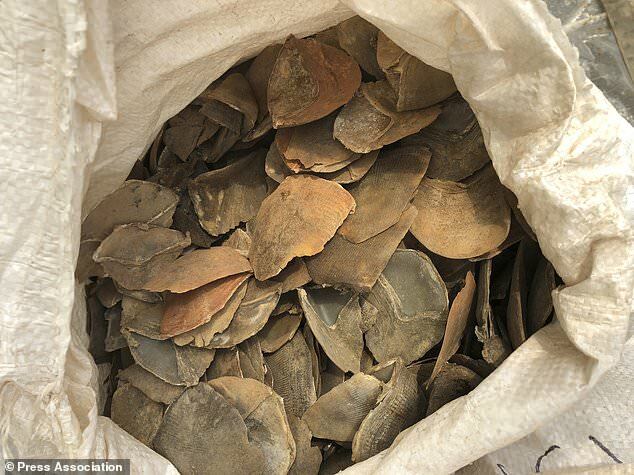 ‘The quantities of pangolins involved point to sourcing, processing and distribution on an industrial scale,’ he added. ‘The World Health Organisation recently endorsed traditional medicine and the industry appears keen to grow this market, outside of China, Vietnam and beyond,’ said Neil D’Cruze, global wildlife adviser at World Animal Protection. Feeding ‘the insatiable demand’ are middlemen traffickers who also profit from the trade that is reaching more remote communities to hunt the animal, he added. 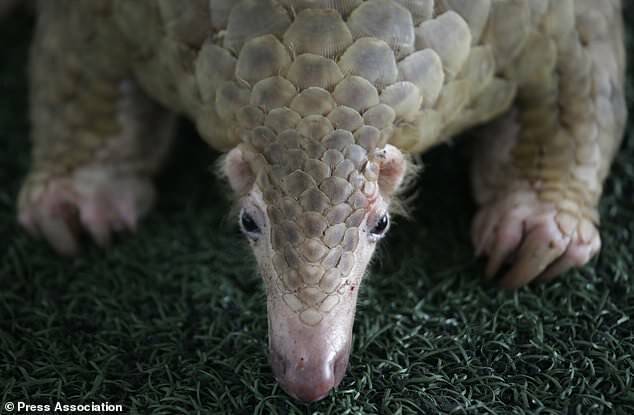 ‘The illegal trade in pangolin parts has been going on for decades. However, pangolins have typically been overlooked in terms of concerted conservation attention and action,’ Mr Thomson said. ‘There has never been a more opportune moment for full and thorough international investigations and collaborations to take place to find out who has perpetrated these criminal acts and bring those behind them to face justice,’ Mr Thomas said.